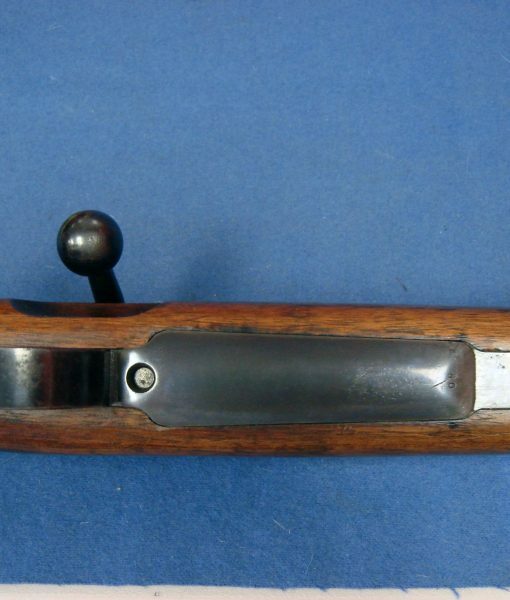 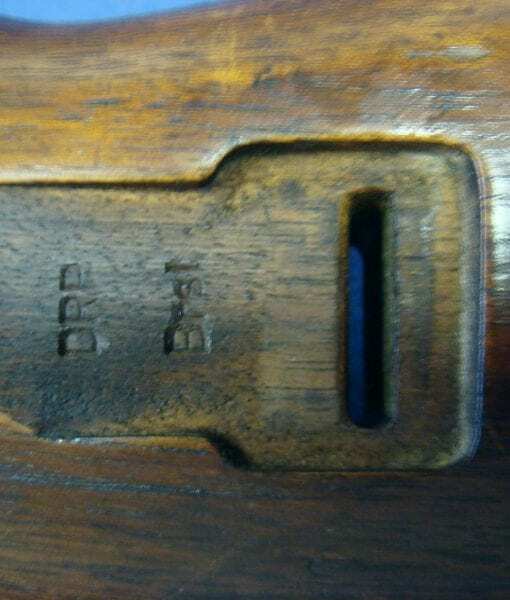 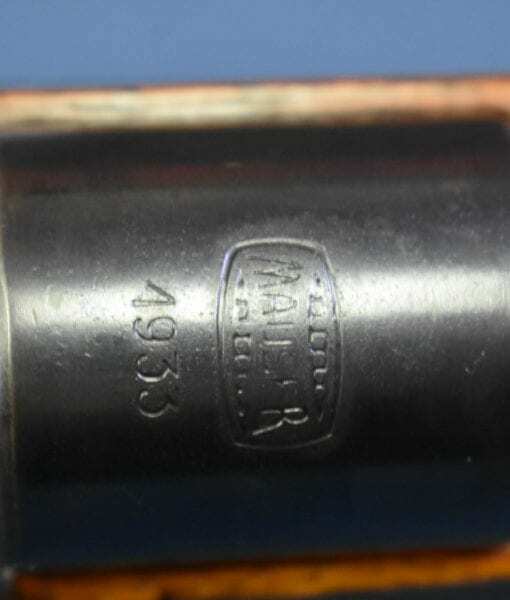 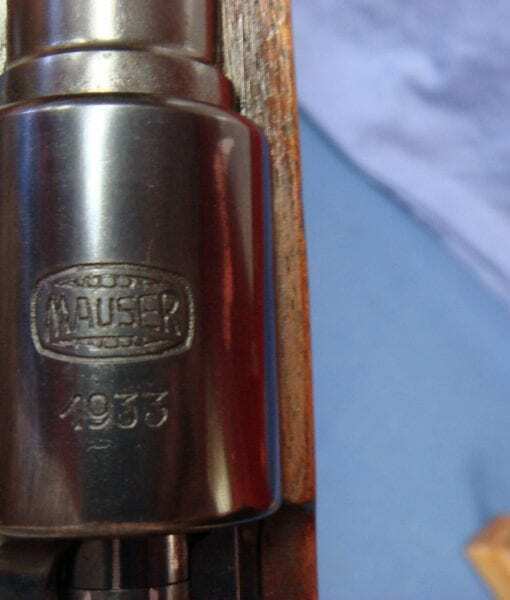 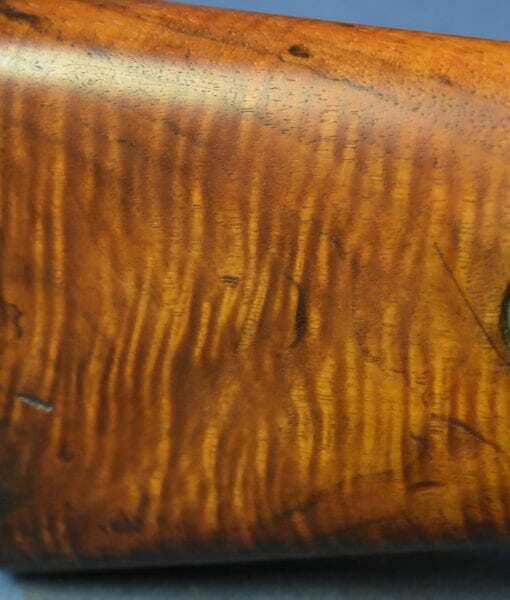 SOLD OUTSTANDING 1933 MAUSER “BANNER K” DRP MARKED RIFLE….. DEUTCHES REICHS POST……..BERLIN MARKED!……STUNNING WOOD! 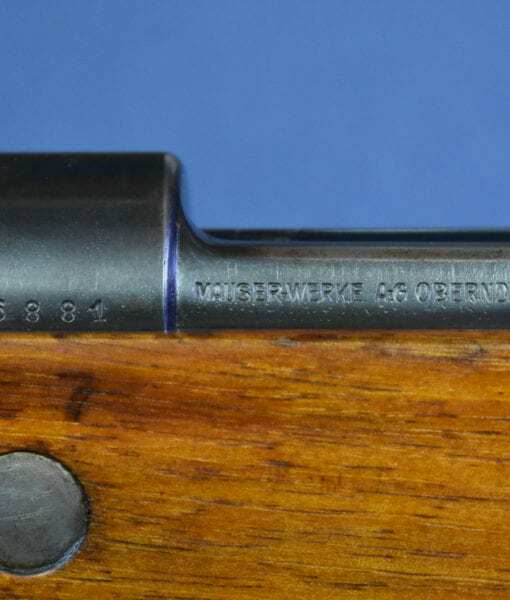 IN EXCELLENT CONDITION, ALL MATCHING AND WITH AN EXCELLENT BORE, WE HAVE A VERY UNUSUAL AND HIGHLY DESIRABLE MAUSER 1933 DATED “BANNER K” DEUTCHES REICHS POSTAL RIFLE. 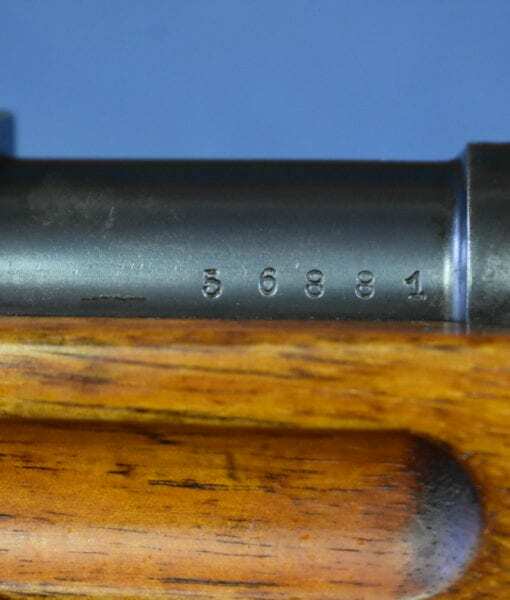 THIS RIFLE IS MADE EVEN MORE DESIRABLE BY THE FACT THAT IT IS MARKED FOR THE CITY OF BERLIN! 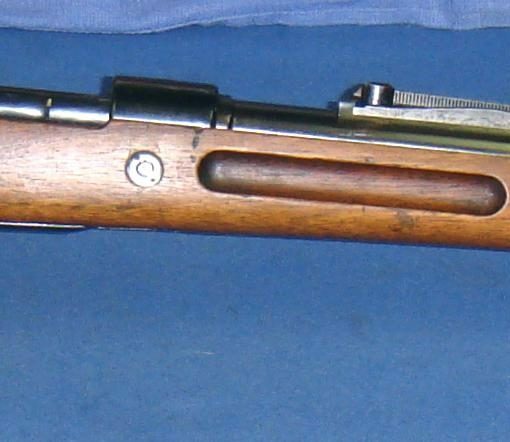 THESE RIFLES WERE USED TO GUARD VALUABLE CASH SHIPMENTS AND POSTAL INSTALLATIONS AS WELL AS RADIO AND COMMUNICATION ASSETS . 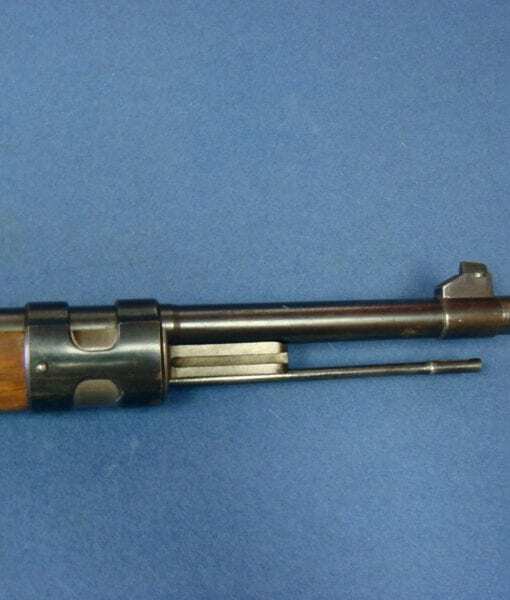 DURING THE WAR THEY WERE USED IN MANY ROLES INCLUDING ANTI PARTISAN OPERATIONS. 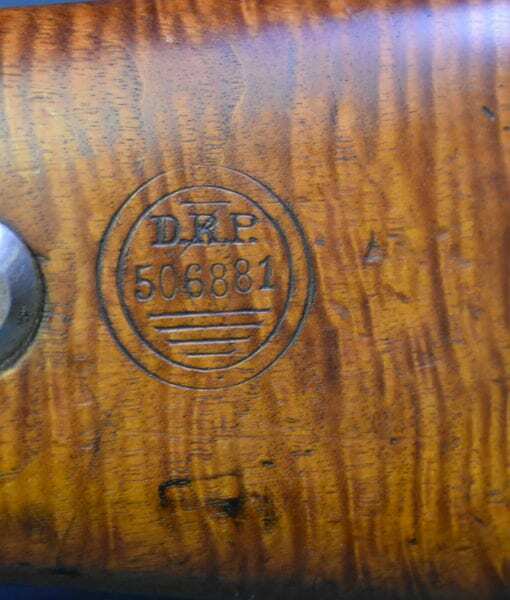 THIS RIFLE IS MADE TO THE HIGHEST MAUSER COMMERCIAL STANDARDS OF FIT AND FINISH AND THIS ONE HAS A STUNNING STOCK. 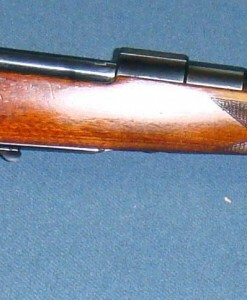 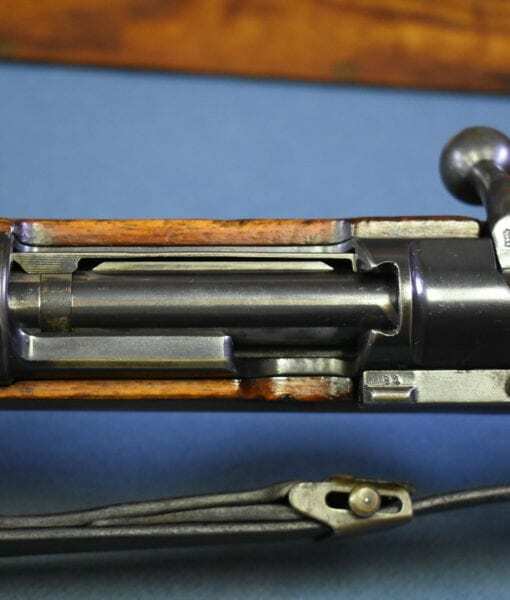 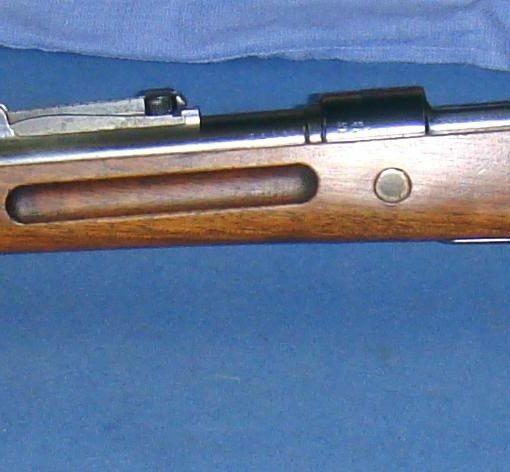 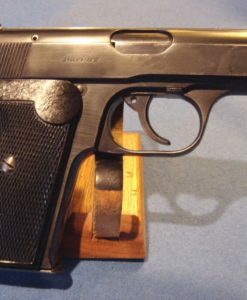 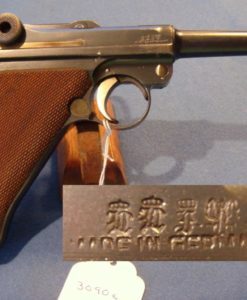 AS WITH MANY OF THESE RIFLES, THIS EXAMPLE WAS SENT TO THE SPANDAU DEPOT FOR INSTALLATION OF A STOCK DISK IN ORDER TO BRING IT UP TO K98k SERVICE RIFLE STANDARDS. 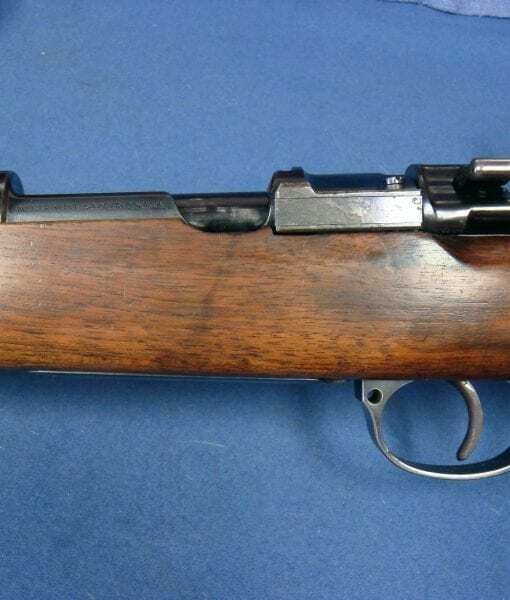 MANY OF THESE RIFLES ENDED UP SERVING IN THE ARMY AND THE SS AS WELL. 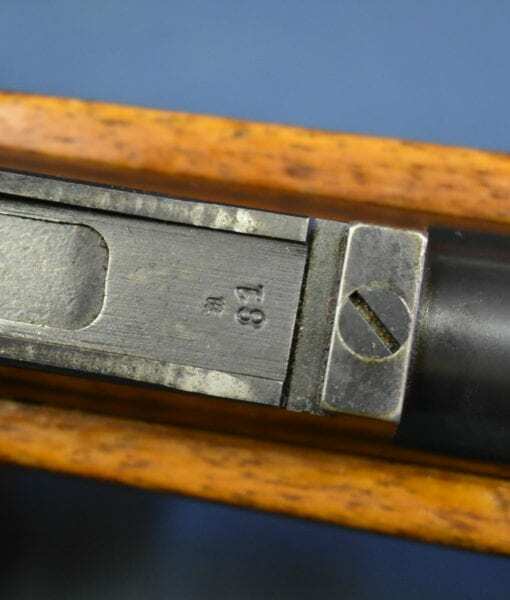 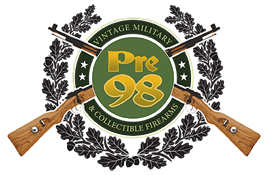 THESE RIFLES ARE VERY DESIRABLE TO COLLECTORS BECAUSE THEY ARE THE BASIS FOR THE FINAL DEVELOPMENT OF THIS SERIES WHICH IS THE K98k RIFLE. 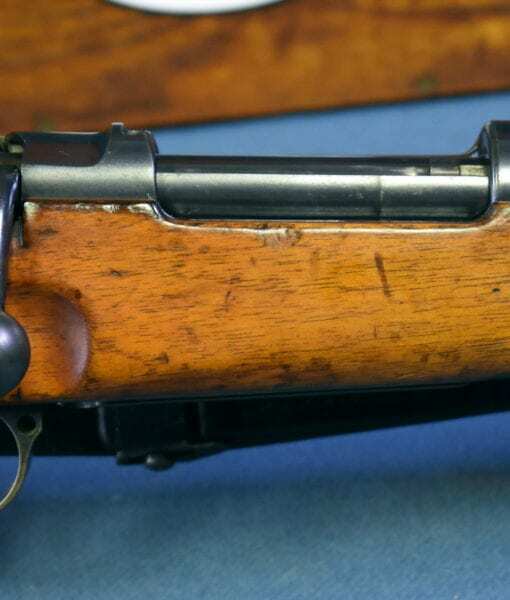 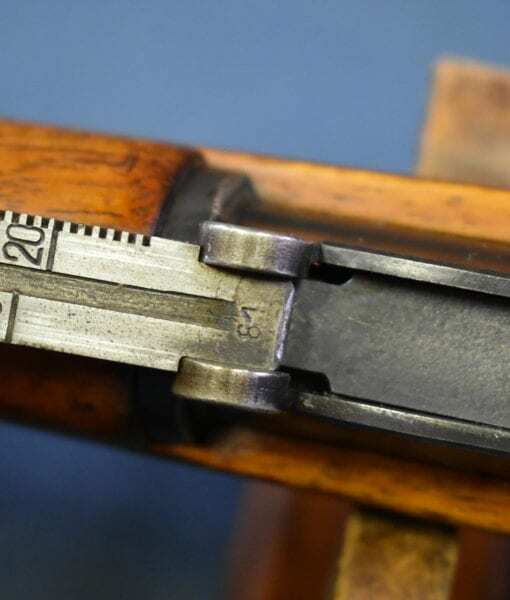 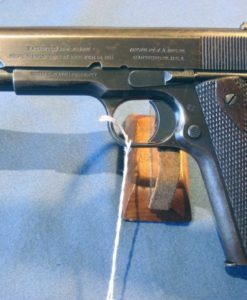 ALL SERIOUS GERMAN RIFLE COLLECTORS WANT THIS RIFLE FOR THEIR COLLECTIONS, THE MAUSER BANNER K VARIANT RIFLES ARE THE VERY FIRST OF THE 98K RIFLES AND ARE CONSIDERED TO BE THE MOST WELL FINISHED AND ATTRACTIVE OF THE PRE WAR MODELS.